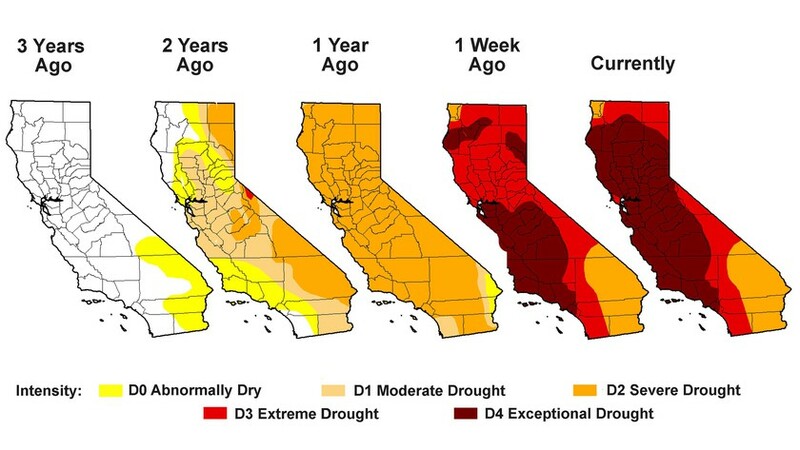 We’re aware that California is in a drought. 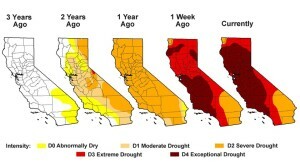 This information is nothing new – except – that the maps below illustrate the progression of our drought since 2011. Click on illustration below to see in more depth. Those of us in the bay area are insulated from the most severely affected which unfortunately are in the part of our state where much of our produce is grown. Conditions are still getting worse, but it is not as bad as it was in 1977 when California’s water storage was at 41 percent of its historical average.